Boston is a hot spot for Pokemon Go! It’s a beautiful Boston afternoon in the heat of August. You’re taking a leisurely stroll in the ever-peaceful Public Garden when, out of nowhere, a wild Pidgey appears! The controversial but wildly popular interactive smart phone app, Pokémon Go, has all but taken over the streets of our historic and beloved Boston. Why? The city is an absolute treasure trove of Pokémon. 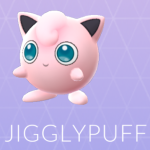 Once you’re logged into the app, you can’t walk fifteen feet without running into Squirtle, Staryu, or maybe even Jiggly Puff. Pokéstops line the streets so Boston players will never be without Pokéballs, potions, and lures. Residents and tourists alike can be seen wandering the city with their phones in hand and smiles on their faces, all working towards catching ‘em all. If you have a second to look up from the game, you’ll notice that the individuals staring intently at their smart phones are mostly twenty-somethings. It’s all about nostalgia for these obsessed millennials. That’s right; Pokémon Go is more than just a game to us young adults. It’s our childhood coming to life right before our eyes. Pokémon was all the rage in the late ‘90s and early 21st century. We traded Pokémon cards and had battles on living room floors. We spent hours glued to our Gameboys wandering through virtual grass hoping to find our very own Pikachu. We followed Ash, Misty, and Brock on a Saturday morning cartoon as they trained to be Pokémon masters. When my generation learned that we could now follow in the footsteps of this terrific trio we idolized as kids, you can bet we were pretty excited about it. With this new trend in mind, many iconic Boston attractions such as the Museum of Fine Arts, Boston, the New England Aquarium, and the Museum of Science are having fun with the fad. Pokéstops and lures are placed at these attractions which attract large crowds of Pokémon. Once the lures are in place, it only takes moments for players to show up with their phones in hand. Even though the lure may not require Pokemon Go-ers to enter the attraction in order to get what they came for, players who have made the trip may be inclined to purchase a ticket and see which Pokémon lurk inside. 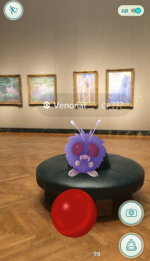 These three attractions have taken to social media, sharing photos of desirable Pokémon gazing at the MFA’s beautiful paintings, marveling at the Museum of Science’s impressive dinosaur skeleton, and even hanging out with the penguins at the New England Aquarium. In addition to taking over the streets and bringing in great business for local attractions, this latest gaming phenomenon has been somewhat of a social liaison for fanatics all over the city. Many players have shared stories on social media of fellow Bostonians helping them in their Pokémon endeavors simply out of the kindness of their hearts and love of the hunt. Additionally, there are virtual Pokémon lures set up around the city where you’ll find groups of people congregating in one area and bonding over their search, yelling in excitement whenever a rare Pokémon appears. A fan also took the liberty of creating a Pokémon Go Boston Facebook page where players are encouraged to meet up, ask questions, and share their experiences with the game. Pokémon Go has set up shop in our wonderful city and doesn’t show signs of fading any time soon. 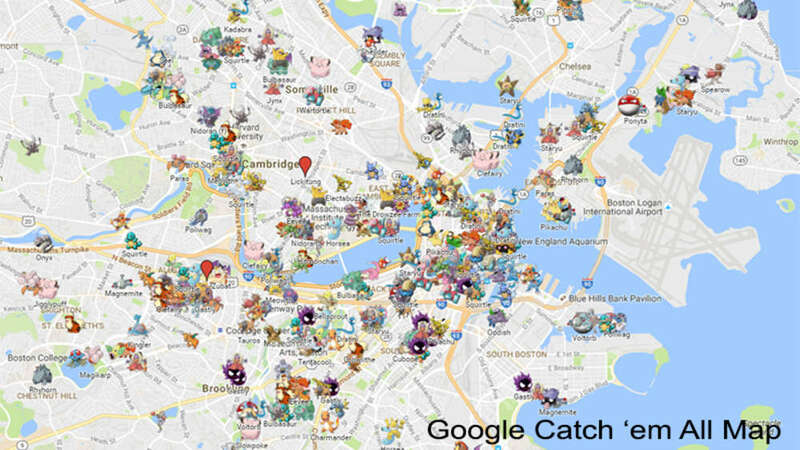 The game has brought people out onto the streets of Boston and allowed them to explore parts of the city they may have never seen before, all while hunting down a Snorlax (a rare Pokémon that is a Boston regular, according to an interactive crowd sourced map). 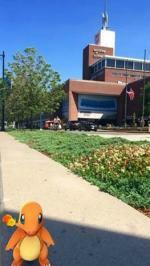 It has brought Bostonians and tourists together as they walk the Freedom Trail, or stroll through the Kennedy Greenway and Boston HarborWalk, with a shared goal of catching ‘em all. The phenomenon has presented a unique opportunity for businesses and attractions to create more business by attracting Pokémon and Pokémon Go-ers to their establishments. Pokémon Go is more than just a distracting game that causes people to walk into telephone poles; it’s a lifestyle, one that Boston has adjusted to quite comfortably. Kacie McFadden is a summer intern at the GBCVB and a student at the University of New Hampshire studying Communication, Marketing, and Hospitality Management. With a passion for music, Kacie spends her free time singing with her college a cappella group, playing guitar and piano, and taking steps toward a career in the events and entertainment industry.